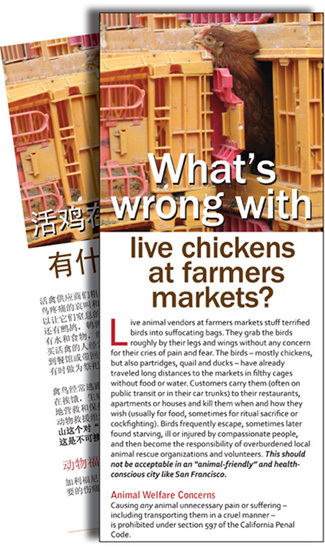 Because of this exception, the San Francisco District Attorney’s office refuses to prosecute live bird market vendors for their multiple abuses of the birds they sell including stuffing them in bags for customers to torture and kill elsewhere. Particularly affected by this exception to the state anti-cruelty law are the brown hens shown in these photographs. 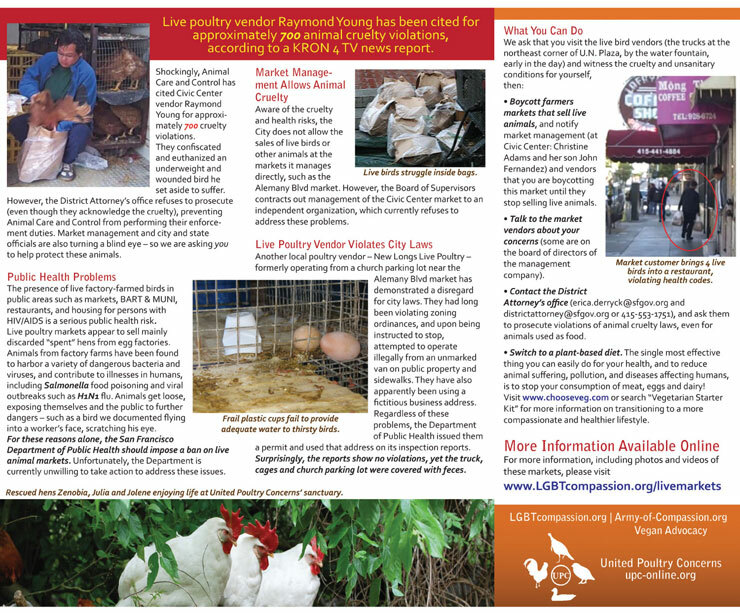 Blocked by California’s law enforcement agencies, despite hundreds of complaint filings, United Poultry Concerns and LGBT Compassion have joined forces in creating a handout brochure, in English and Chinese, for San Francisco activists to hand out to customers at the city’s Civic Center, where Bay Area Farmers Markets sell their products. 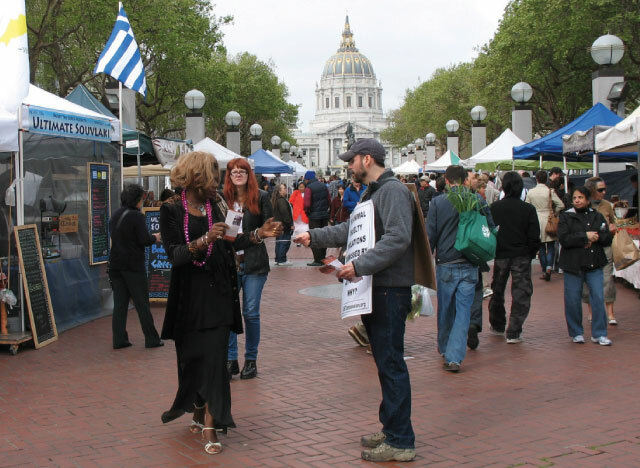 If you live in San Francisco and would like to help leaflet at the Civic Center, please email info@LGBTcompassion.org and visit www.LGBTcompassion.org for information and updates.